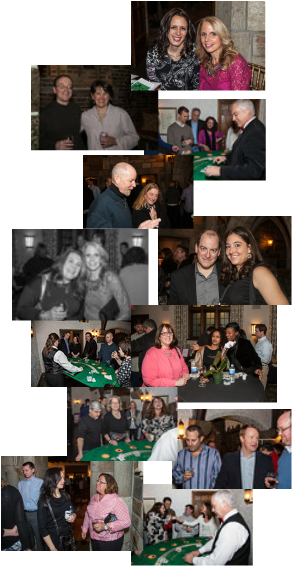 Parents, Teachers, Staff, and Friends, please join us for an evening to connect with old friends or to make some new friends at the Merion Parent Social and Silent Auction. An annual tradition that can't be missed: dinner, dancing, drinks, desserts, silent auction, raffle, and fun! Cash/Check: Please make checks payable to "Merion HSA." Payments should be submitted in a sealed envelope marked "Merion Social"
Join in the game and send in one amazing fact about yourself! Everyone who participates in the fun fact game gets a commemorative tin of Merion Mustang Thinking Putty! Courtesy of Crazy Aaron's Thinking Putty in Narberth! Big prize for the winner of the scavenger hunt! $500. towards Braces at Dr. Kaddan! A very kind orthodontist who has already straightened some teeth at Merion! Lower Merion Soccer Club - 2 gift certificates towards (1) free season of soccer and (2) one free week of soccer camp. Walnut St Theatre - 2 tickets to Disney's Alice in Wonderland, Jr.
**Neither the school nor the HSA endorses this business. Using the service is at your own risk.